Marketing Automation in South Africa is realtively new for most marketing and IT professionals, and besides a few forward thinking businesses most businesses have yet to adopt it. 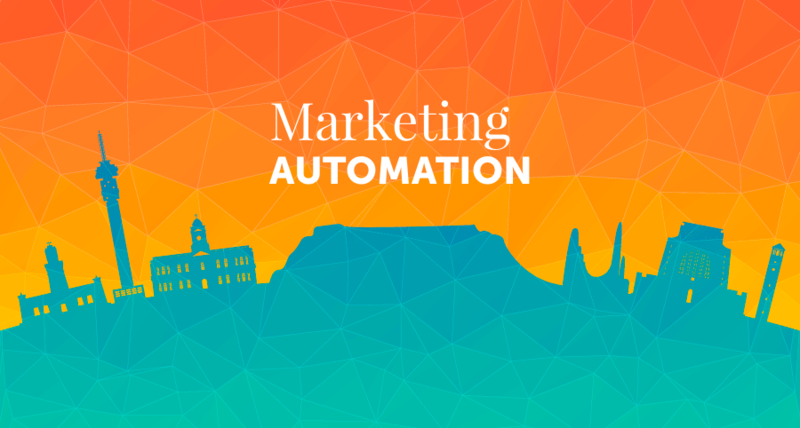 Does marketing automation work in South Africa? Yes. Its works anywhere but its efficacy does depend on who is strategising, building and running the campaigns. Very simply, marketing automation is the use of software and platforms to automate repetitive marketing tasks, streamline process, simplify and measure tasks, and workflows. Overall, the goal of marketing automation is to increase marketing efficiency while growing business revenue. Why would you use marketing automation? 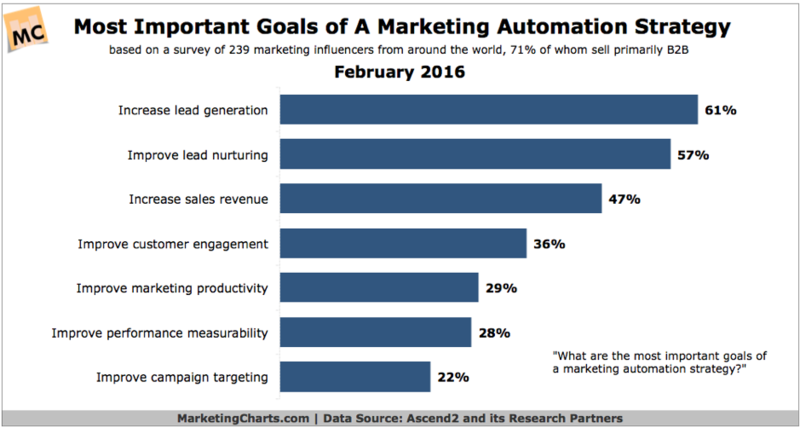 Below is chart detailing the most important goals of a marketing automation strategy. Convincingly, the top three goals are to increase lead generation, improve lead nurturing and increase sales revenue. We can share case study after case study on how we have used marketing automation to not just achieve, but nail lead generation and revenue goals for South African clients. As a marketing automation consultancy in South Africa, we focus predominantly on the financial, technology and professional services sectors. In these sectors of our economy, the sales process tends to operate at multiple touch points & over long time periods. And with that in mind - marketing automation is the perfect additive to your digital campaign to achieve success with these types of sales that comprise of large, considered purchases. So in a nutshell, marketing automation does work in South Africa. But, keep in mind, if you’d like the primary deliverable of your marketing spend to be qualified leads – choosing professional marketing automation services is the way to go.